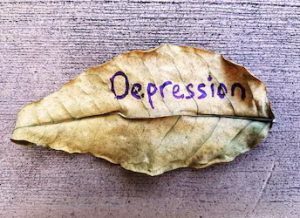 Depression is a severe mental illness that requires compulsory treatment. Patients can dispense with drug therapy only at the initial stage of pathology. The treatment of depression is typically extended, lasting at least three months. 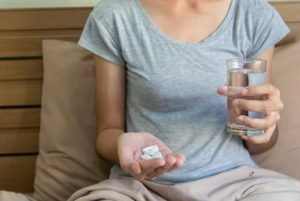 The first improvements in the state of a patient are expected to appear no earlier than two weeks after the start of the regular use of drugs. Antidepressants are the primary type of medication available for the treatment of different types of depression. These drugs regulate the concentration of neurotransmitters and restore the biochemical balance in the brain. Antidepressants also help to improve user mood and activate psychomotor activity. They can quickly remove the feeling of constant fatigue, anxiety, fear, and apathy. Treatment with antidepressants is undesirable in individuals with heart, kidney, and liver diseases. In extreme cases, the doctor will select the safest medicine offering the minimum number of side effects. Tricyclic antidepressants are the most inexpensive and popular type of antidepressants. Their action works by capturing the neurons of serotonin and norepinephrine. They have both stimulating and sedative effects. Products in this group have a powerful effect and are used to treat depression at different stages. Examples of tricyclic antidepressants include clomipramine (Anafranil) and amitriptyline. These medications block the action of the enzyme monoamine oxidase, which destroys serotonin and noradrenaline, leading to an increase in the levels of these substances in the blood. Monoamine oxidase inhibitors are prescribed in patients demonstrating an ineffectiveness of tricyclic antidepressants, atypical depression, and/or dysthymia. These drugs begin to work only a few weeks after the start of consumption. Notably, their use can lead to fluctuations in blood pressure, swelling of the extremities, dizziness, and weight gain. The action of these modern class antidepressants is based on the blocking of the reverse absorption of serotonin. This group of drugs affects only this substance, which makes them less aggressive towards the human body; as such, they have fewer side effects. The inhibitors of serotonin reuptake include Zoloft (Pfizer, New York, NY, USA) and Prozac (Eli Lilly and Company, Indianapolis, IN, USA). These antidepressants are used for depression accompanied by obsessive thoughts and anxious and panic conditions. These are the next generation of such drugs, which have an effect on three types of receptors: noradrenaline, dopamine, and serotonin. These medications are as effective as tricyclic antidepressants but have a more minimal number of contraindications and side effects. These drugs also regulate human biological rhythms. With their help, users can normalize sleep and daytime activities throughout the week. They help with severe depressive conditions and can remove the feeling of anxiety, loss of strength, and nervous overexertion in a short time. Drugs of this group include Effexor (Pfizer, New York, NY, USA) and Zyban (GlaxoSmithKline, Brentford, UK). Tranquilizers are used in the treatment of depression accompanied by anxiety, tearfulness, a sense of fear, and insomnia. They may be included in the treatment regimen. Therapy with these drugs is carried out only under the supervision of a doctor, as their use can cause addiction and drug dependence. The course of treatment should be short and not exceed two to three weeks. The use of tranquilizers affects the speed of psychomotor reactions and the concentration of attention. Side effects include drowsiness, muscle weakness, tremor, constipation, urinary incontinence, and a weakening of the libido. 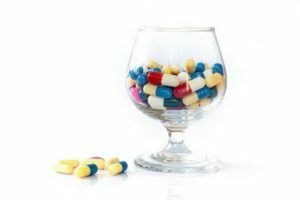 During treatment with these medicines, it is forbidden to consume alcohol. These medications have a pronounced antipsychotic effect and a depressing impact on the entire nervous system. Their use is relevant in the case of pronounced excitation, hallucinations, delirium, and apathy. These drugs affect all organs and systems and should be taken only with pronounced changes in human behavior. Neuroleptic use leads to a decrease in the level of dopamine, which can cause muscle stiffness, tremors, and hypersalivation. They can also increase drowsiness, reduce concentration, and decrease mental capacity. These medications normalize cerebral circulation and improve mental abilities. Unlike other drugs used in the treatment of depression, nootropics are not addictive, do not slow down human activity, and do not have an adverse effect on the brain. The consumption of nootropics is associated with a decrease in the level of vital activity and mental abilities and a violation of the adaptive function of the body. These drugs contribute to mood stabilization and can be used in the case of neuroses. Nootropics should be included in the scheme for the treatment of depression accompanied by mania. They are also prescribed for the treatment of astheno-depressive syndrome and can be used for preventive purposes by healthy people who are often in a state of stress. In most cases, nootropics are well-tolerated. Sometimes they can cause headaches, agitation, sweating, dry mouth, tachycardia, and euphoria. Other groups of drugs for the treatment of depression include, for example, selective norepinephrine reuptake inhibitors, noradrenergic and specific serotonergic drugs, and melatoninergic antidepressants. Among such drugs, reboxetine and mirtazapine (Remeron) can be noted. During pregnancy, the taking tablets for depression is especially relevant. If the mother-to-be is depressed, she endangers not only herself but also the child. 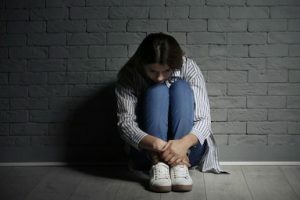 In the case of a depressed mother, doctors often prescribe selective serotonin reuptake inhibitors, which are the safest option for the patient’s body. A few weeks before the birth, it is necessary to abandon the use of antidepressants so that the child does not inherit dependence. When breastfeeding, antidepressants and other psychotropic drugs taken by the mother can also have a negative impact on the child. Zoloft is most often included in therapy during the lactation period. It is the safest antidepressant for mothers to use during lactation; has a pronounced therapeutic effect; and, in a short time, helps with coping with anxiety and apathy. Tranquilizers and neuroleptics are not allowed during pregnancy. For mild depression in children, treatment is performed with the help of psychotherapy and natural medicines. Conversely, for depressive disorders of the middle and severe stages, the therapist prescribes an antidepressant. In those individuals who are at the age of 12 years, the safest and effective drug is fluoxetine. The difficulty of treating childhood depression lies in the fact that, in 50% of cases, the patient’s body is immune to antidepressants. It can be noticed from the second week of the drug use whether a positive effect of therapy is absent. In such cases, the doctor replaces the antidepressant. Copyright © DepressRx. All rights reserved.